Indian Foreign Secretary Nirupama Rao has said that India has reservations over Increasing relations between Pakistan and China. While talking to media in a School of New York Nirupama Rao said that India has reservations over Nuclear Cooperation between Pakistan and China. Nirupama Rao also showed her reservations over separate Visas for people of Occupied Kashmir by Chinese Government. 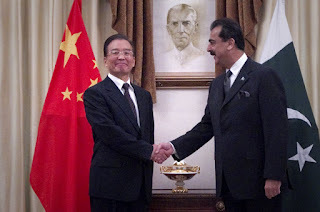 Recently Pakistan and China has done an agreement according to which China will build more Nuclear reactors in Pakistan. In the past United States also showed its reservations over building Nuclear reactors in Pakistan by China. Chinese and Pakistani Government made it clear that these Nuclear reactors are for peaceful purposes so reservations on this agreement are useless.